Prestigious Two – M1 DXT Construction Released! The Prestigious Two – M1 DXT is the sibling to the Excellence Two – M1 DXT, but costs about 280$ less. It share many qualities with the Excellence Two – M1 DXT, but doesn’t have the same incredible bass performance and extremely low distortion profile as the Excellence Two – M1 DXT. Instead it has a more lively mid-range presentation compared to the more neutral warm sounding Excellence Two – M1 DXT. This was the last mini monitor for a while and I promise that the next loudspeaker to be published will be a “lot” bigger loudspeaker! Read full article |Comments Off on Prestigious Two – M1 DXT Construction Released! Excellence Two – M1 DXT Construction Released! It has been a while since the last published loudspeaker design and the Excellence Two – M1 DXT has actually been ready for a while, but unfortunately I simply haven’t had the time to publish it. If you search for a bedroom or small room loudspeaker with an amazing bass performance, look no further. This is a low distortion bass capable small loudspeaker with a sound larger than its appearance. 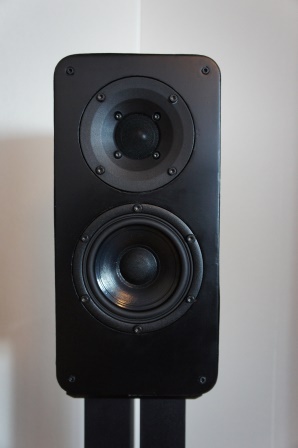 This loudspeaker replaces the older published Excellence Two – Mini Monitor design, which is moved to the archive section. Read full article |Comments Off on Excellence Two – M1 DXT Construction Released! 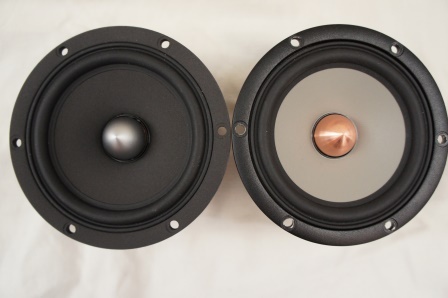 I’ve added measurements for the SEAS CA12RCY and the W12CY003 to the mid-woofer measurement section. Despite their small size they all need a rather low cross-over frequency in order to work properly. Especially the hard cone versions L12RCY/P and the W12CY001 ideally needs a cross-over point of about 2kHz in combination with notch filters in order to deal with the large cone break-up modes and their distortion profiles. For its size the W12CY001 have amazing bass capabilities. The coated paper cone CA12RCY also have a raising distortion profile in the upper mid-range at higher listening levels, despite its rather smooth frequency response. This mid-woofer would also work better with a cross-over point of about 2kHz. The Nextel cone W12CY003 mid-woofer can be used higher up in frequency, but have a rather high resonance frequency and it has some resonance and distortion issues at 950Hz, which might limit its usability. Read full article |Comments Off on 4,5″ Driver Measurements! 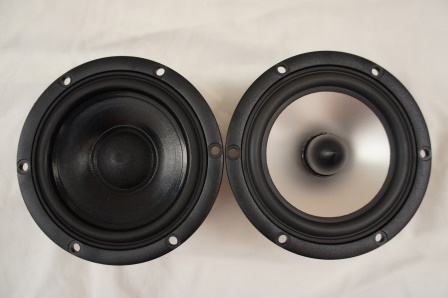 A pair of ScanSpeak Illuminator R3004/602010 tweeters and a pair of SEAS ER18RNX (H1456) 7″ mid-woofers are for sale in the For Sale! section. Read full article |Comments Off on For Sale!